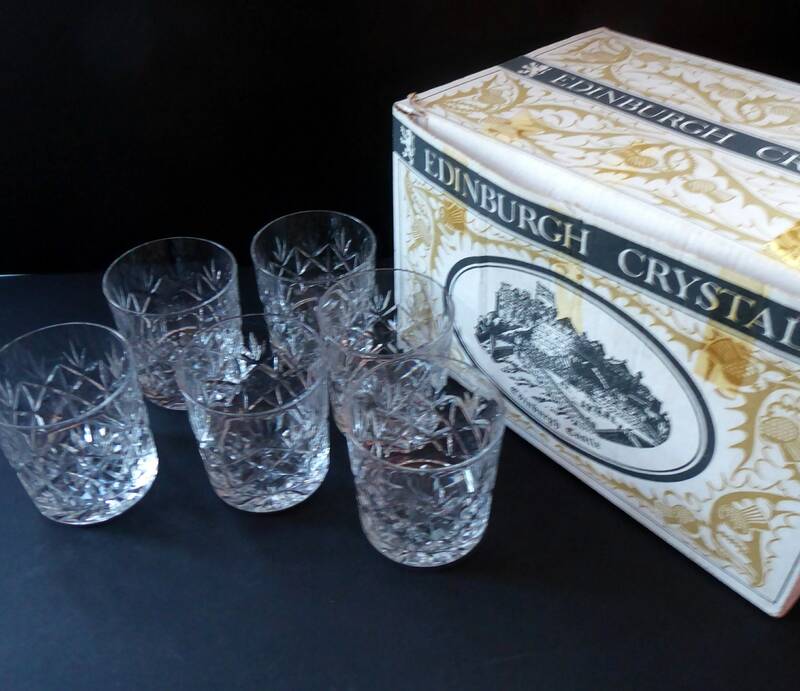 These are really beautiful vintage Edinburgh Crystal whisky tumblers. 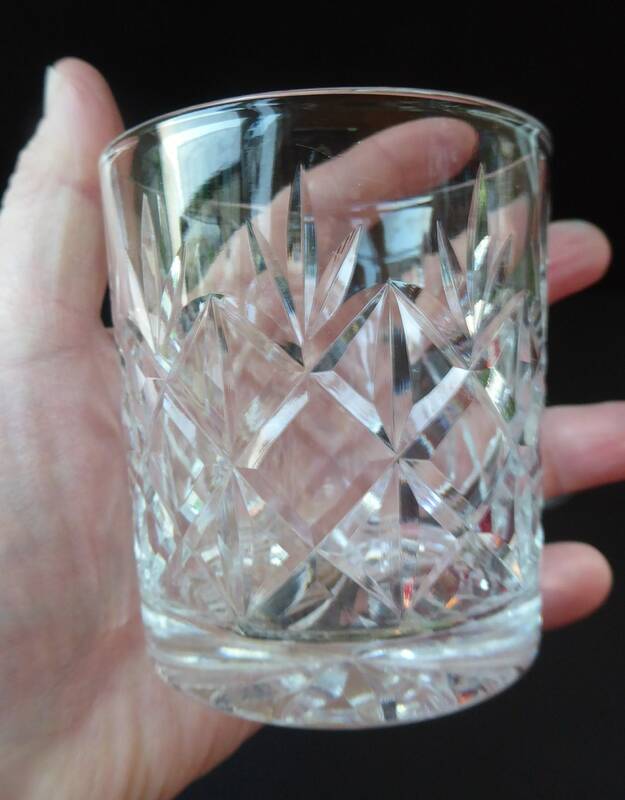 They are the harder to find Glenshee Pattern. 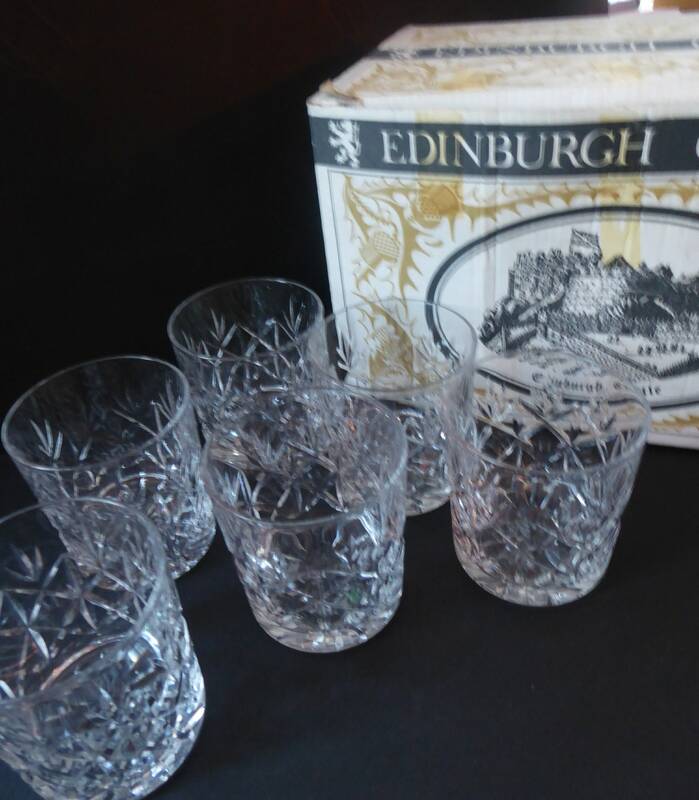 Each glass has an etched Made in Edinburgh, Scotland mark on the base - a mark which was used from 1955. 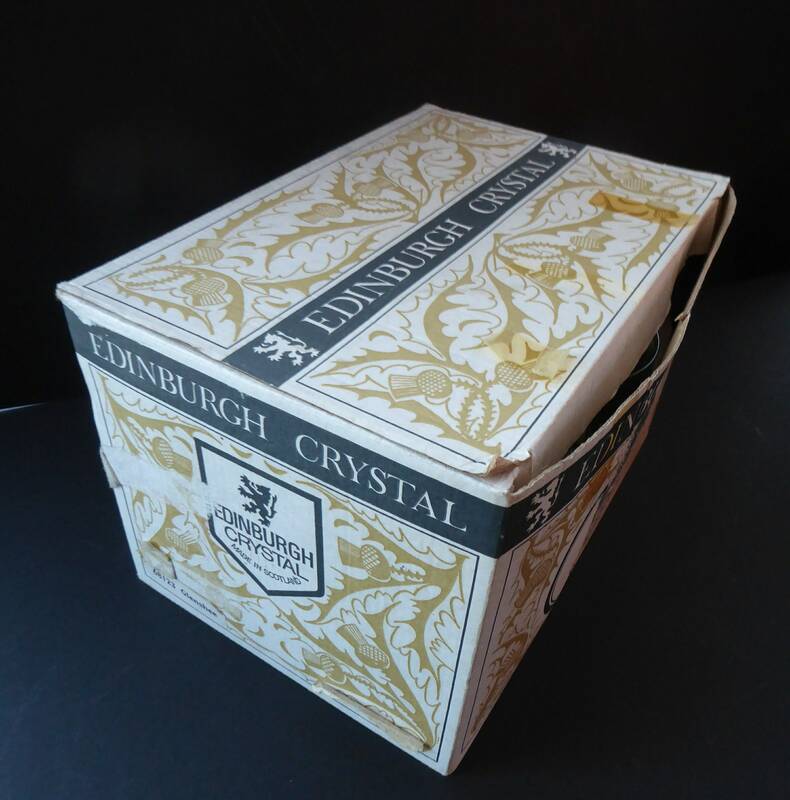 The set of six also comes with its original card retails box - not in pristine condition but certainly acceptable and rare to find a set with its 1960s box. 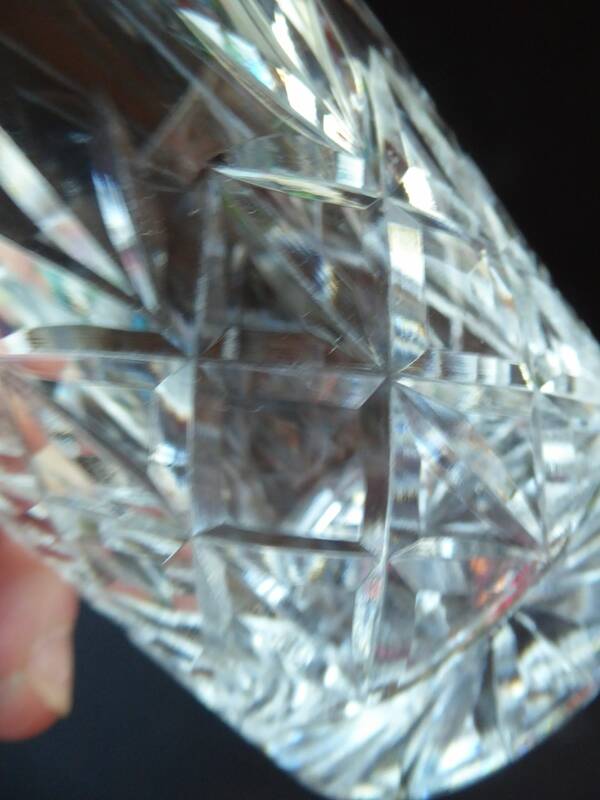 As you can see, they are all in perfect tip-top condition. 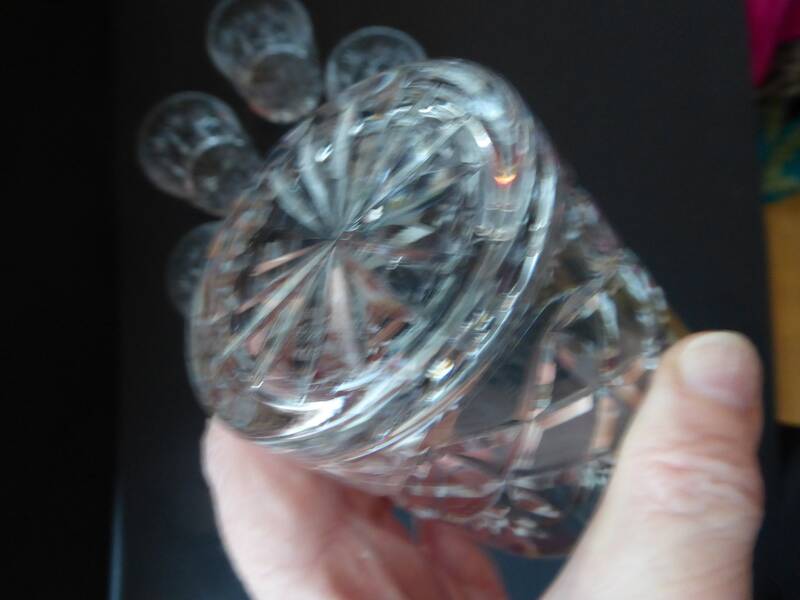 Each glass is 3 inches in height with a diameter of 2 3/4 inches. 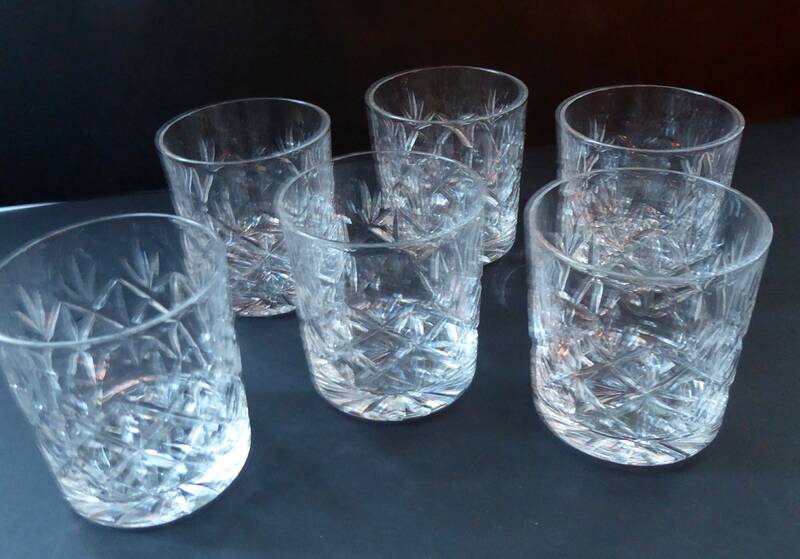 Great glasses for a cheeky wee dram of whisky. 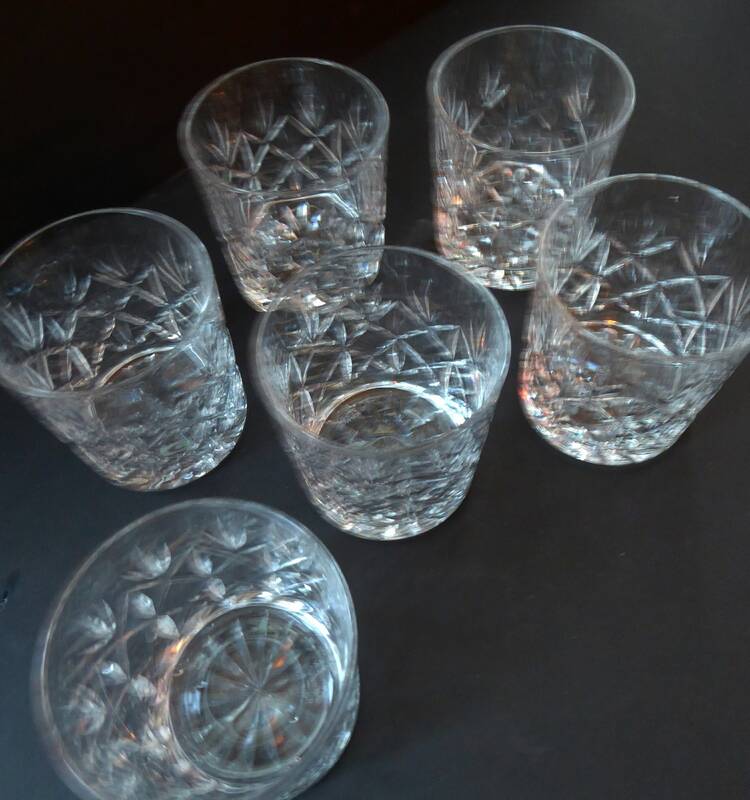 The price quoted here is for a matching set of six beautiful glasses - great pieces of glassware for festive entertaining or for formal dinner parties. 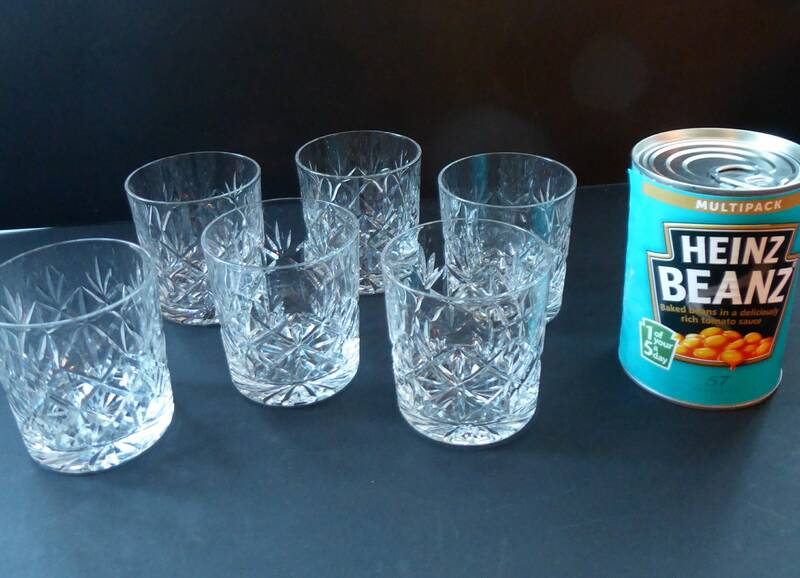 Fair asking price for the set, making the unit price for each glass just over £12. 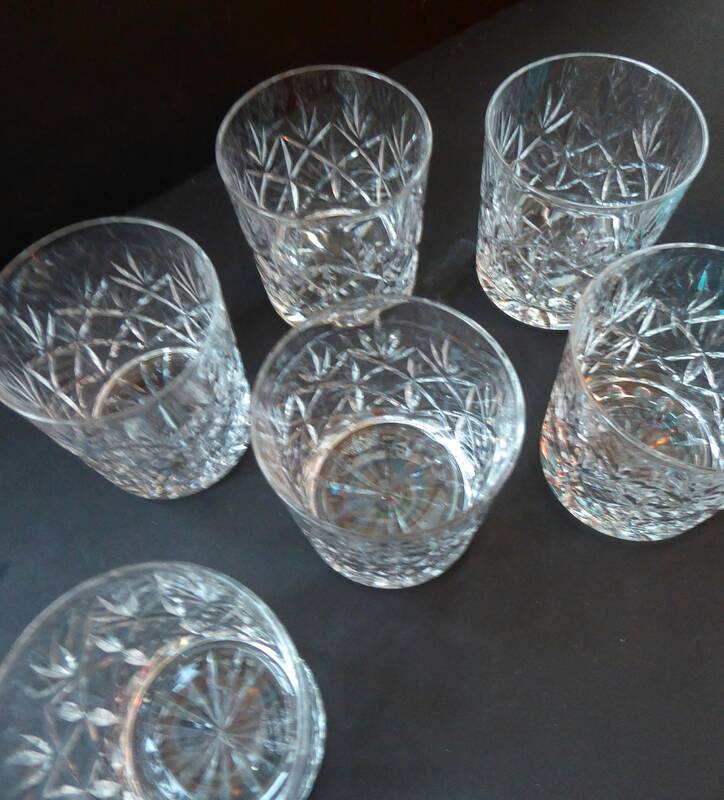 Sadly, due to their weight, these would have to be for UK posting only.